We’re in the business of connecting our customers to a certain lifestyle, which means the brands we offer must live up to and even exceed that expectation. That’s why we go to great lengths hand-selecting the most intelligent, well-designed appliances within the luxury category. You can find them on display in our showrooms where our customers can see the superiority for themselves. The perfect fusion of form and function, every Sub-Zero refrigerator, freezer and wine storage unit integrates into your kitchen experience with both simplicity and style. With precision temperature controls, powerful btu’s and state-of-the-art heat distribution technology, every Wolf product is designed to let your inner chef shine while making a statement in the most gathered room in the house. Wolf also features outdoor kitchen grill options like the free-standing or built-in barbecue with 25,000 btu burners and electric rotisseries with infrared technology. Microwave ovens with convection that deliver both browning and speed. Induction cooktops that remain cool while the iron-based utensil heats and cooks food super fast. Infrared technology that powers the 18,000 Btu charbroiler and griddle, with fast preheats, superior heat distribution and fast temperature recovery when food is placed on the surface. Unparalleled temperature control with a unique dual stacked burner that delivers 15,000 Btu of heat and scorch-free low-flame control with True Simmer. cleaning in a class by itself. Designed with capacity, efficiency and elegance in mind, every Asko dishwasher and laundry system performs at an unmatched level while looking incredible in every type of kitchen design. 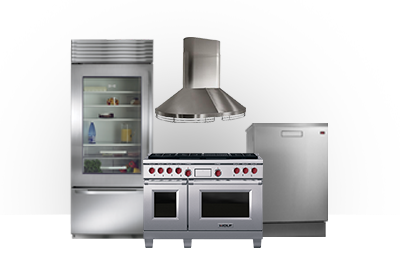 Every ASKO part is designed to last 20 years for unsurpassed longevity in the appliance industry. Exceptionally quiet-not exceeding 50 dBA-the equivalent of a gentle rainfall. Hold 20% more dishes than most other dishwashers. Use less than 200 kWh of energy per year, best in class compared to other full-size dishwashers. Consumes less than five gallons of water per load saving more than 1,000 gallons a year compared to the typical dishwasher. Uses half the detergent of conventional dishwashers. Flexible racks and adjustable water pressure clean delicate stemware, fine china, and soiled utensils in the same load. Removes 40% more detergent residue than other products. Large capacity–holds 14 pounds of laundry (approximately 14 bath towels or seven pairs of jeans. No central agitator, so washing bulky items is a breeze. Front-loading design and stainless steel drums that never rust or corrode. Innovative self-contained water heaters for the most precise temperature control possible. Consumes only 15 gallons of water per normal load, compared to as much as 44 for other washers, using one-third the detergent and no chlorine bleach. Unique drying cabinet solves the problem of drying special-care items like silks and woolens. The Beauty of Proper Ventilation. At Best, our range hoods are noticed for their style, not their sound. Extremely quiet every hood has an internal and external blower that keeps kitchen air fresh no matter what’s on the menu. Exquisite designs subtly integrate into kitchen design. Electronic controls for simple use and care. Heat Sentry feature automatically detects excessive heat and adjusts blower speed. Island, chimney, professional and built-in styles allow for a multitude of design options.